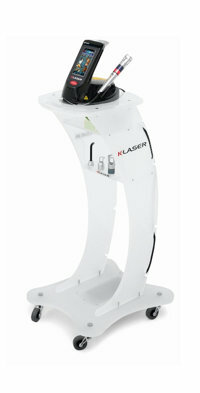 K-Laser Class4 Laser Therapy - Home - Setting the Standard in Class IV Laser Therapy in the UK and worldwide. We look for new technologies and products that will be part of the future of professional practice. The technologies and products we offer will promote a service orientation and uniqueness of offering that is the best way for professional practice to prosper in the internet age.. Since 2012 VBS Direct Ltd has been proud to distribute K-LASER Veterinary products to veterinary practices and hydrotherapy centres across the UK and Ireland. We pride ourselves on our knowledge of class IV laser therapy and how to successfully implement it into practice.